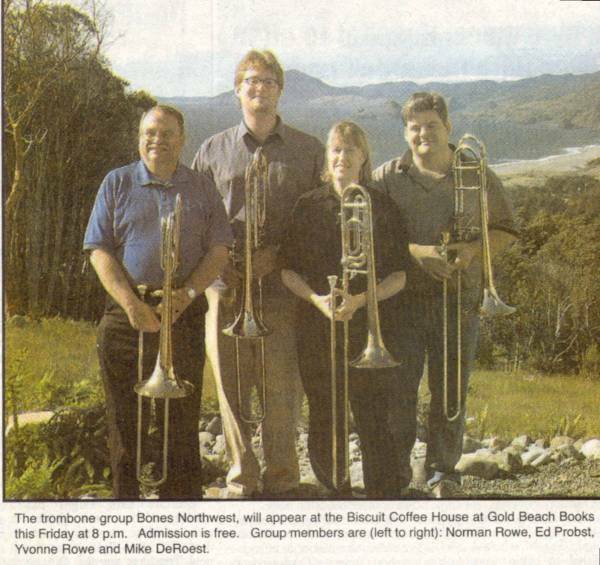 The day after arriving in Gold Beach, OR, in October 2003, Yvonne and Norman encountered Gold Beach High School band director Mike DeRoest who, among other things, is an excellent trombonist. Within a week we started playing trios together and the following spring Ed Propst, of Brookings, joined us to turn the group into a quartet. Performing several times in Gold Beach, Port Orford, Brookings, and even Ashland, the ensemble presented a variety of music to appreciative audiences. The quartet disbanded in mid-2005 when Mike resigned his position at GBHS to accept a similar position at Phoenix [OR] High School and Ed was accepted to graduate school at Oregon State University. This is an article from the June 2, 2004, edition of the Curry County Reporter about the group's second public performance (the first had been five days earlier at the Roaring Sea Gallery in Port Orford, OR). 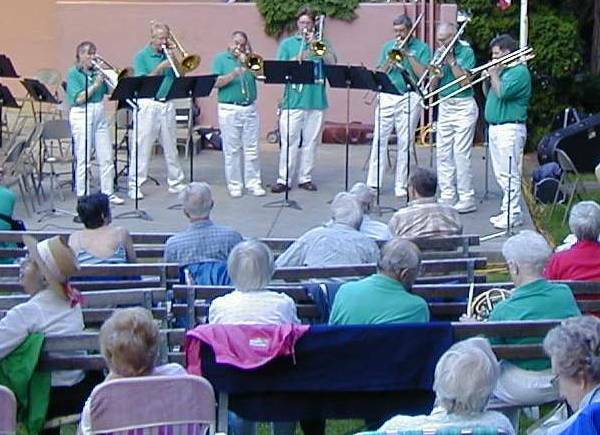 This is a photo taken during our Gold Beach Books concert on June 4, 2004. 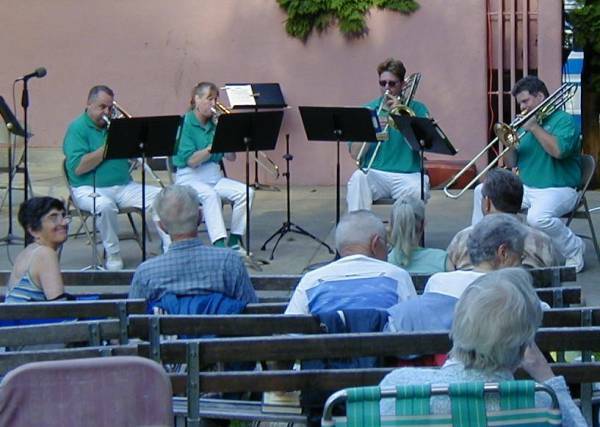 This is a photo taken during the Ashland City Band pre-concert performance on July 1, 2004. 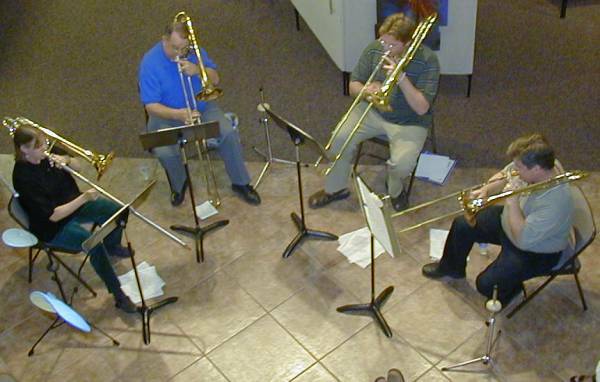 This is another photo taken during the Ashland City Band pre-concert performance on July 1, 2004. Bones Northwest invited trombone players from the Ashland City Band to join us for three numbers.